Its name hasn’t changed, but everything else has. The new PEUGEOT 5008 breaks new ground as a large seven-seater SUV in the C segment. As a new contender in this growing consumer market, it boasts many strengths. 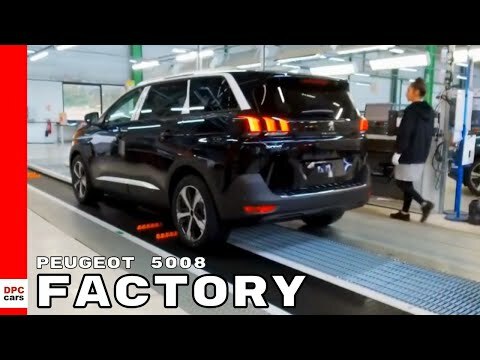 The all-new PEUGEOT 5008 SUV includes the latest version of the outstanding PEUGEOT i-Cockpit®, Efficient Modular Platform 2 (EMP2), and a plethora of high-tech features that enhance comfort and safety. Behind the elegant, dynamic design lies a superbly practical vehicle. With seven seats, the all-new PEUGEOT 5008 is the first SUV to offer modularity on par with that of the best people-carriers. A range of powerful, efficient engines and designs – including sporty GT Line and GT versions – is available for the new PEUGEOT 5008 SUV, to be unveiled at the 2016 Paris Motor Show in September before its launch in spring 2017. Previous Previous post: Lewis Hamilton & Russell Wilson Flat Out in Montreal!